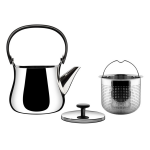 DesignApplause | cha by naoto fukasawa for alessi. traditional beauty, contemporary style – yet another one of naoto fukasawa‘s minimalistic designs, ‘cha’ brings back a little natural charm to an age-old custom. 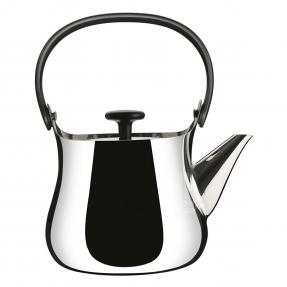 alessi presents its spring/summer 2014 collection during IMM cologne 2014, at HOMI in milan and maison et objet in paris. 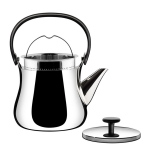 ‘cha’ in japanese means ‘tea’ and with the ‘cha’ project, fukasawa has transformed the ancient traditional japanese teapot into a sophisticated modern object with multiple uses, which can be brought from the kitchen hub directly to the table for serving. 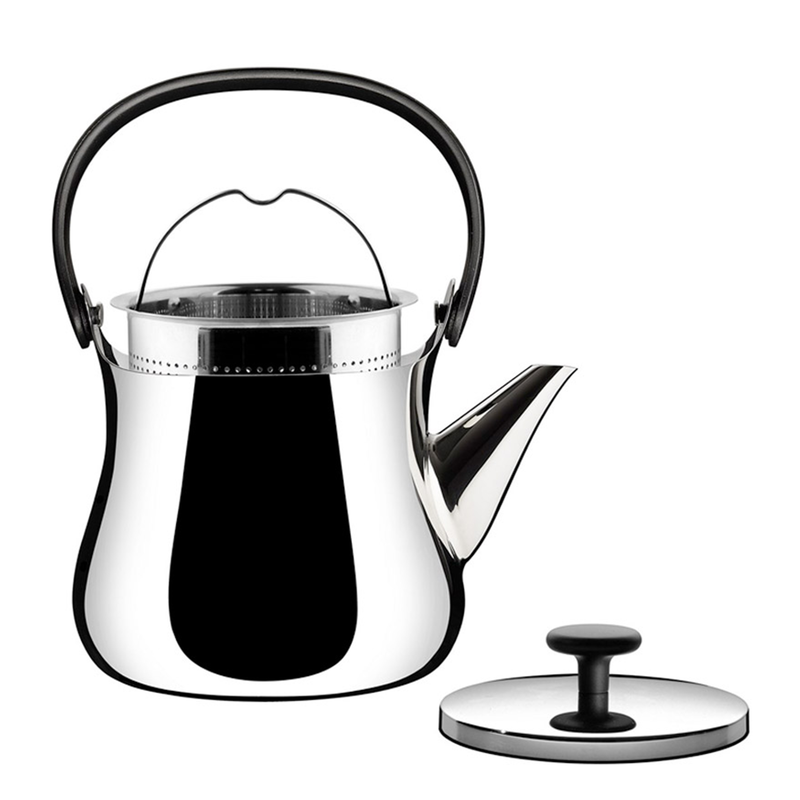 a large kettle and teapot in 18/10 stainless steel with a polished finish, it features a magnetic steel bottom for use on all heat sources, including induction stovetops. with its seemingly simple shape, ‘cha is the product of an in-depth study of all the details that make up the ancient ritual of serving tea. 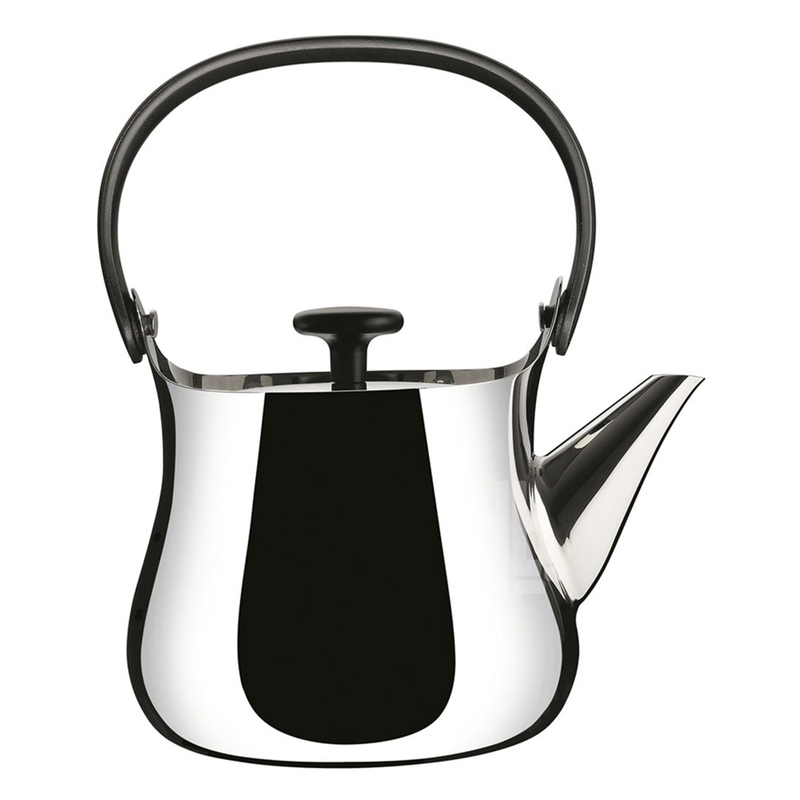 the curved handle is made of black thermoplastic resin and allows you to grip the large kettle and teapot while keeping your hand away from the heat source. in the upright position, ‘cha’ is easy to grip when pouring. while on its side, it is easy to fill and occupies less space. equipped with a removable infusion filter and an additional internal filter positioned at the height of the pouring spout. 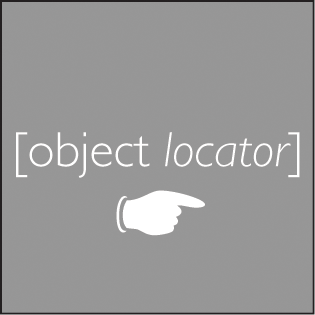 · capacity: 31 3/4 oz.